Princeless Presents “Raven: The Pirate Princess.” A new ongoing series from Action Lab Comics and Princeless creator Jeremy Whitley. Action Lab is proud to present the second series in the Princeless universe. 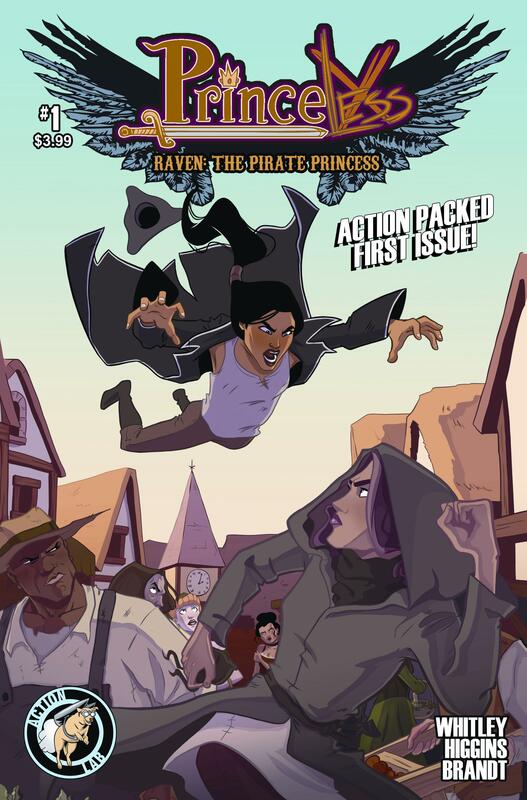 Spinning out of Princeless, “Raven: The Pirate Princess” follows the adventures of the revenge seeking daughter of the Pirate King. 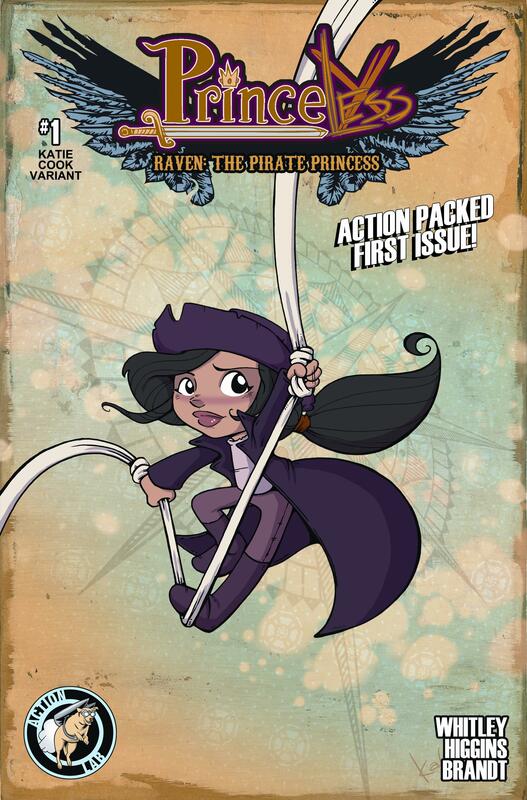 After the events of Princeless Book 3 Raven has parted ways with Adrienne and is off on an adventure all her own. 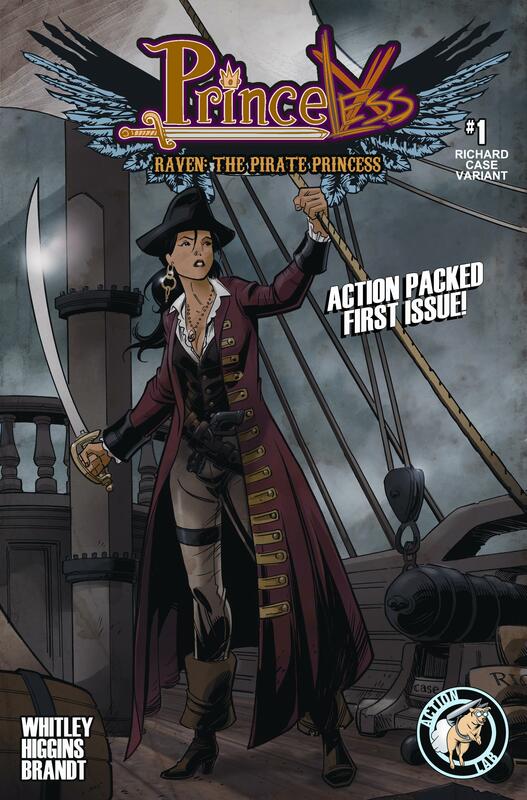 In this new ongoing, fans of Princeless will be introduced to a whole new aspect of the world as Raven sets off on an adventure by sea. 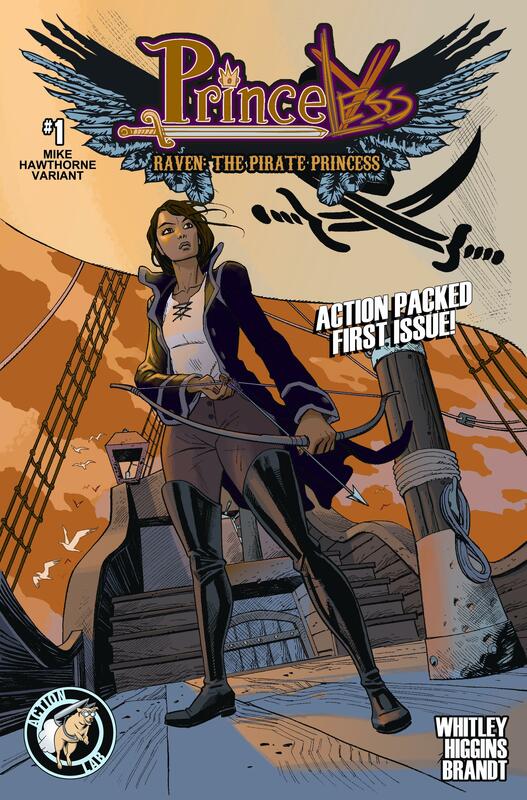 Her brothers have betrayed her and stolen her rightful place as heir of the Pirate King, but Raven is about to take it all back. 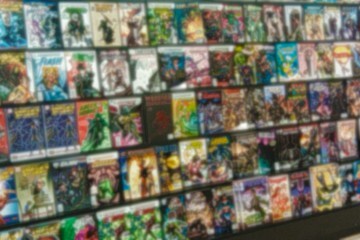 Both Princeless fans and new readers will love this new ongoing series. 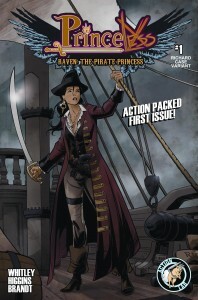 Raven: The Pirate Princess #1 will be available to order from the May issue of Previews. 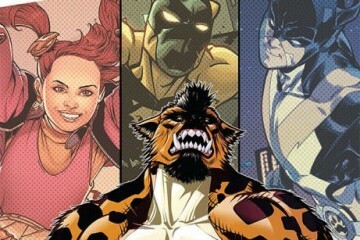 As part of this announcement, our ‘Vocal Minority’ column will have a month of Princeless related content. Starting on May 7th it will feature sneak peaks into the comics, interviews with the creators and articles about all things Princeless. Don’t miss it!